We supported the MUN organised by George Watson’s College from 15 to 17 March 2013. We staffed a stall at a Scottish Parliament event for school students on 16 November 2012. We supported George Watson’s College’s MUN, held from 23 to 25 March 2012. 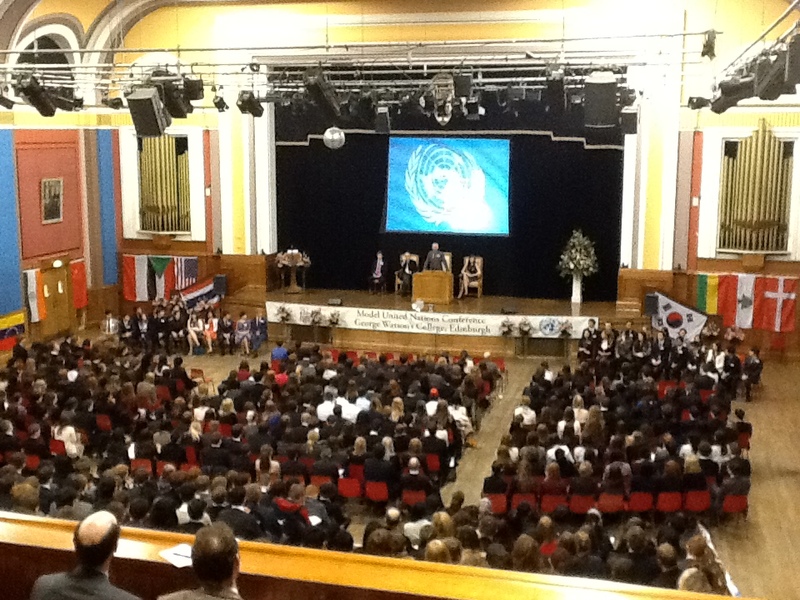 We took part in James Gillespie’s High School MUN, which was held on 11 November 2011. Penicuik High School’s MUN was held on 30 September 2011. We organised a Model United Nations event in Edinburgh City Chambers on 26 November 2010. Report on Iran delegation to George Watson’s MUN 19-21 March 2010. Gari Donn’s keynote speech to Edinburgh University’s EDMUN on 20 February 2009.